We dismantled a Eureka, California motel built in the 1950s. It's roofing material was concrete tile laid at a 6:12 pitch. Each tile has two cleats that lap over the skip sheathing on the roof and a double lap joint on the sides. When we began to take the tiles up, we were amazed that there was no vapor barrier below the 2x4 battens. In fact, we could look right down to the sheetrock ceiling of the motel room and there was no water spotting on the wall board. 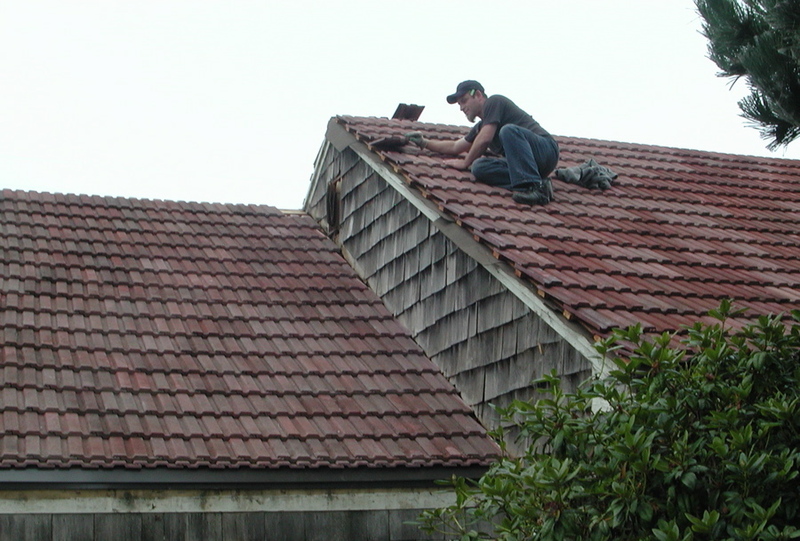 Despite driving torrential rains common on the northcoast of California, this roof did not leak. The tiles are in better than new condition. We say that because originally they were smooth and had a rather uninteresting 50s pink look to them. 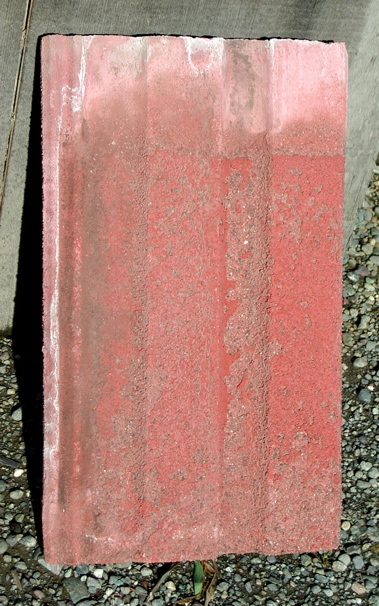 Now, the smooth surface has worn down to a stippled cement appearance. There are about 3000 square feet of tile in this lot. They are boxed in sturdy containers, easily moved with a forklift without requiring any extra handling of individual tiles. They measure 9" x 15" and with a 3" overlap, expose 8" x 12"
Looking down to see cleats and double edge lapping. 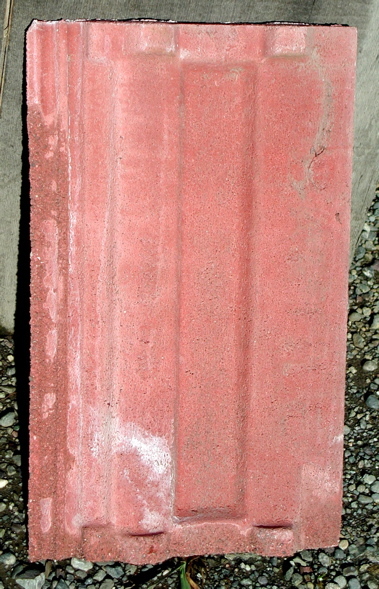 Fine concrete mix makes for durability.